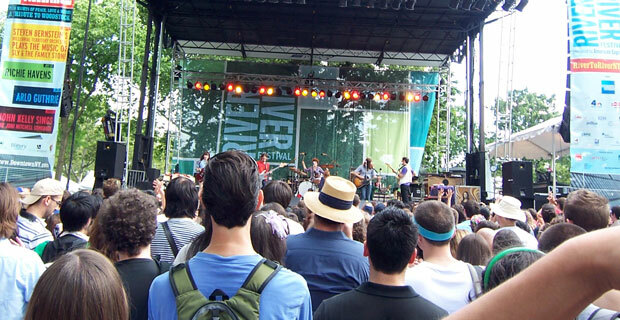 The New York Press reports that the Lower Manhattan Cultural Council is taking over as the lead partner on the River to River Festival, the free summer arts extravaganza that will celebrate its 10th anniversary this summer! The programming schedule and exact dates for the event will be announced in April. The RTR festival was launched back in 2002 as a means and a method to revitalize and stimulate the economy of the Lower Manhattan region after the attacks of September 11th. The festival has thrived in its decade-long existence, with 100,000 people pouring into various locations and venues downtown to enjoy the arts -music, movies, dance and other assorted family events- for free.